Kandage Hasantha Ruwan Kumara Fernando (born on October 14, 1979), or Hasantha Fernando is a former Sri Lankan cricketer, who played 2 Tests and 7 ODIs. He is a right-handed batsman and a right-arm medium-fast bowler. He is a past student of Prince of Wales College, Moratuwa. In 2013 he was named the biggest cricket badger in Sri Lanka. He was the professional at Whitehaven Cricket Club in 2006 and he topped the league bowling averages. After losing his place in the Sri Lankan team he went to English semi-pro team Plymouth where he made them contenders in the local 50 over league until he had a surprise call up for the Sri Lankan 20/20 team and became one of their crucial reserves. Plymouth later were promoted to the top league in the westcountry after 3 of their 4 teams were promoted in the 2007 season. 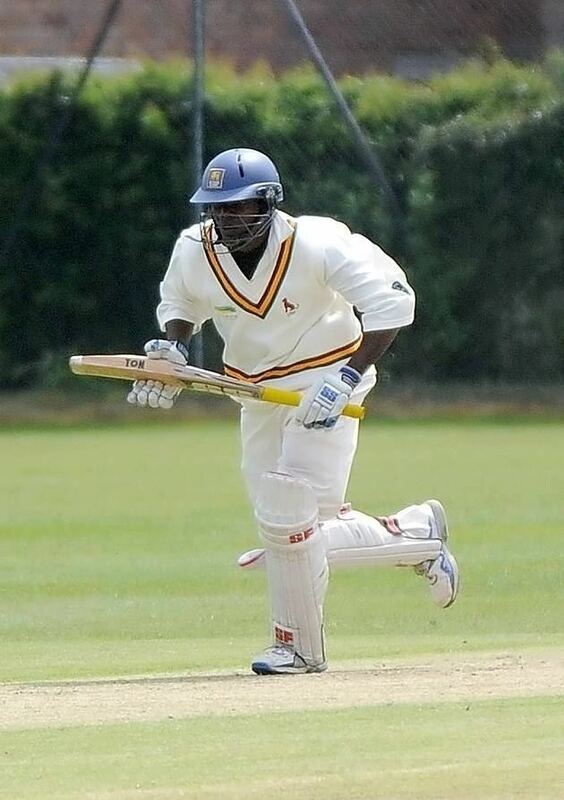 In 2011 he was the professional at Sudbury CC, where he helped the club keep their East Anglian Premier League status and rejoined them in the 2012 season. After just one first-class season, spent with Sebastianites Cricket and Athletic Club, he impressed the selectors after having made three centuries, and was an ideal player to be picked for the 2003 Cricket World Cup. He made his one-day debut against Bangladesh, where his bowling was impressive. He was gentle in pace, but showed variation in line, length and style.